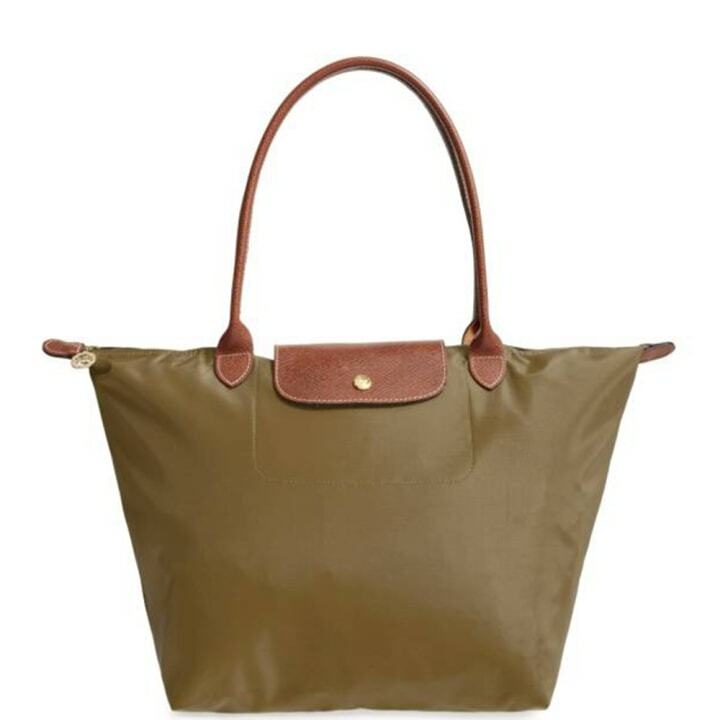 With its long straps, rectangular shape and wide top, the tote handbag looks deceptively simple. But, as anyone who owns one (or three) will tell you, it can become the most useful and versatile bag in your wardrobe. 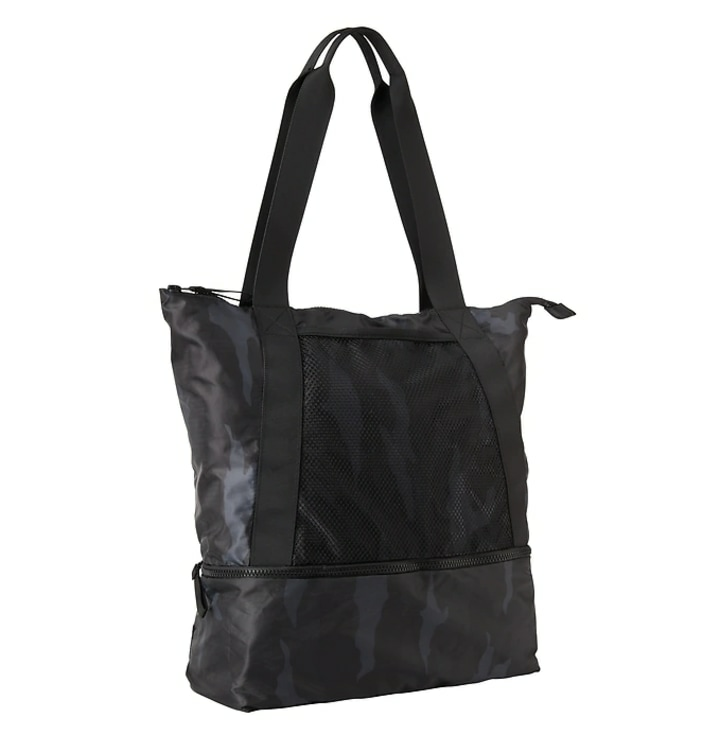 Between gym clothes, groceries, toiletries, books or almost anything else, totes can carry almost anything hassle-free. Plus, the low price of most canvas bags means you can throw them on the ground without worry. And, if the cheeky illustration about totes from The New Yorker is any indication, they can show off your personal brand, too. Whether you prefer the utility of a canvas variety, or you're in the market for a sophisticated bag to take to work each day, we've found 18 of the best tote bags for spring. Everyone needs a canvas tote. 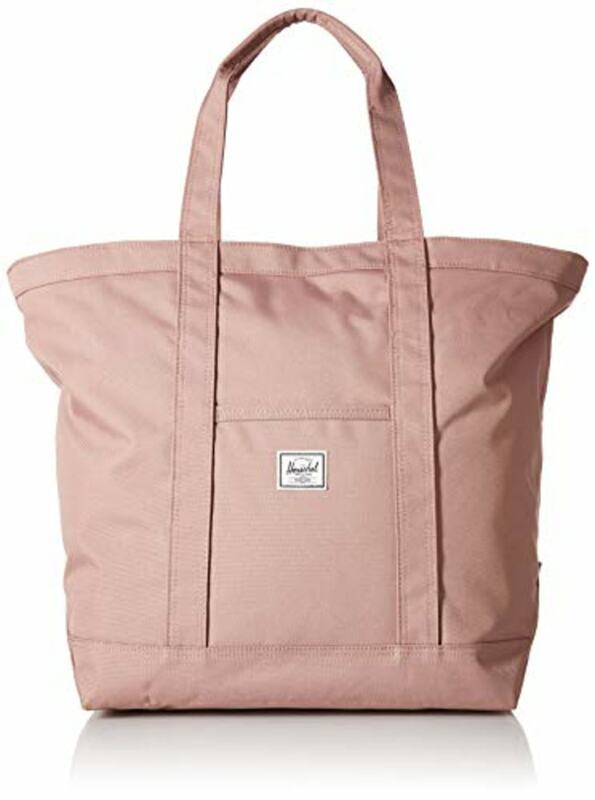 They provide just enough structure to conveniently carry groceries, gym clothes, a laptop or just everyday essentials. Plus, they can be found in a variety of fun designs at affordable prices. 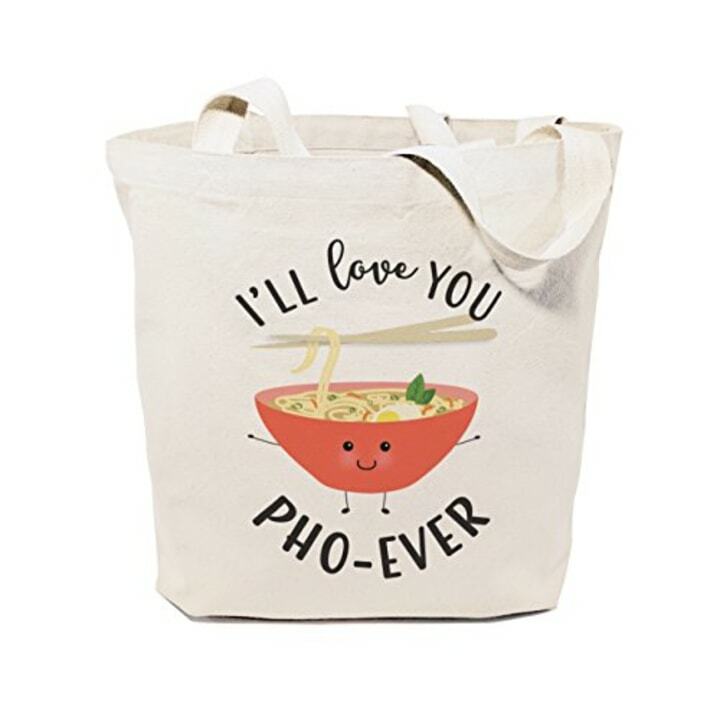 Chose between 37 different food puns from "I'll Love You Pho-Ever" to "You're My Butter Half," and any of these bags would be great for toting notebooks and a tablet around campus, packing your favorite book and blanket for a day in the park or even running to the grocery store. 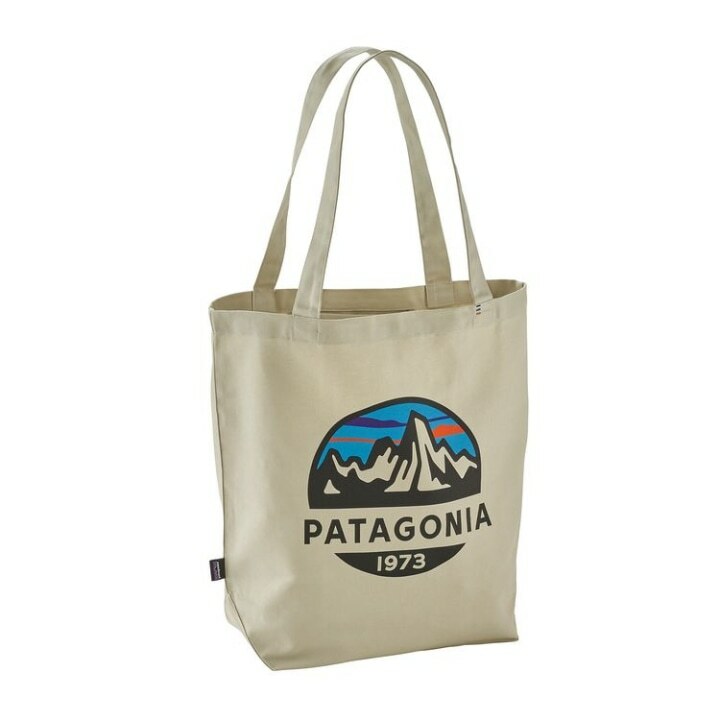 The organic cotton of this reusable tote is made "using a process that reduces the amount of scrap fabric generated in production," according to the Patagonia website. And, the inks are free of polyvinyl chloride, or PVC, and phthalates, reflecting the company's environmentally friendly mission. If you want to upgrade your canvas tote without spending a fortune, we love the durable build and bright color of this Herschel bag. It's lined with striped fabric (fun!) and features all the pockets and compartments you need to stay organized when you're out and about. 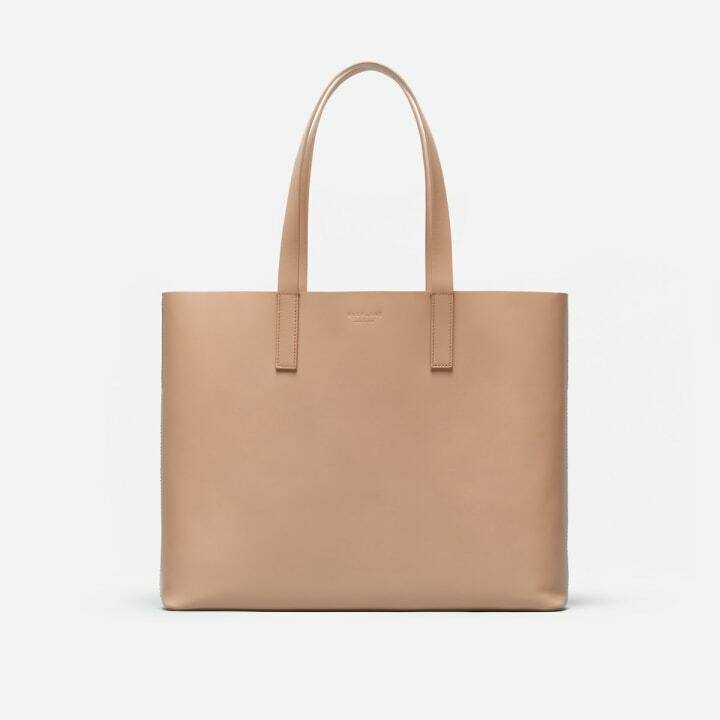 The key to finding an office-appropriate tote is to look for one with a sleek shape and sturdy structure — perfect for holding laptops, lunch, makeup and a book or two. While black is a classic choice, we also found some colorful work bags that will jazz up your business attire, too. 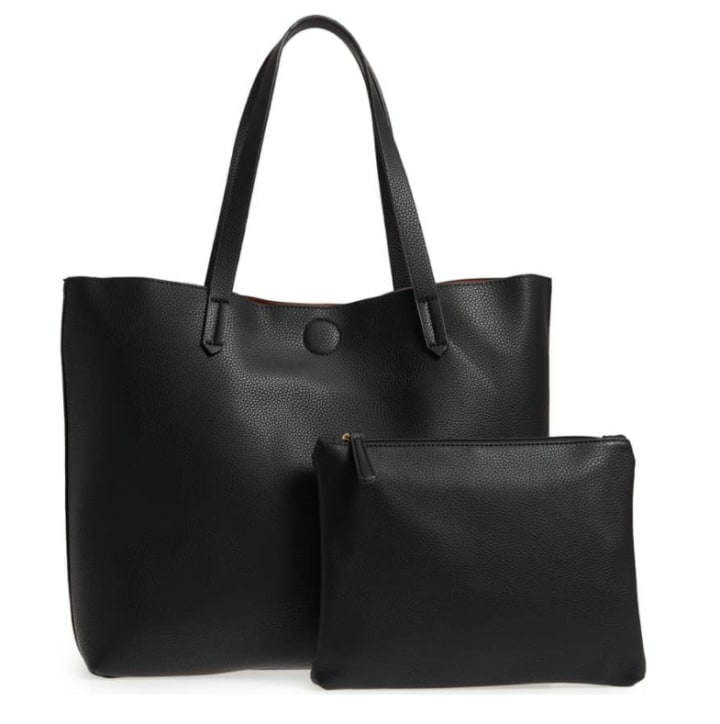 This large, structured tote made of 100 percent Italian leather from Everlane can be used all day. It comes in seven colors from neutral navy or black to bold cherry red and soft pastel pink. This reversible bag boasts a faux leather look and an additional pouch for small items. A neutral, pastel pink is a great way to infuse your spring workday wardrobe with a bit of color. 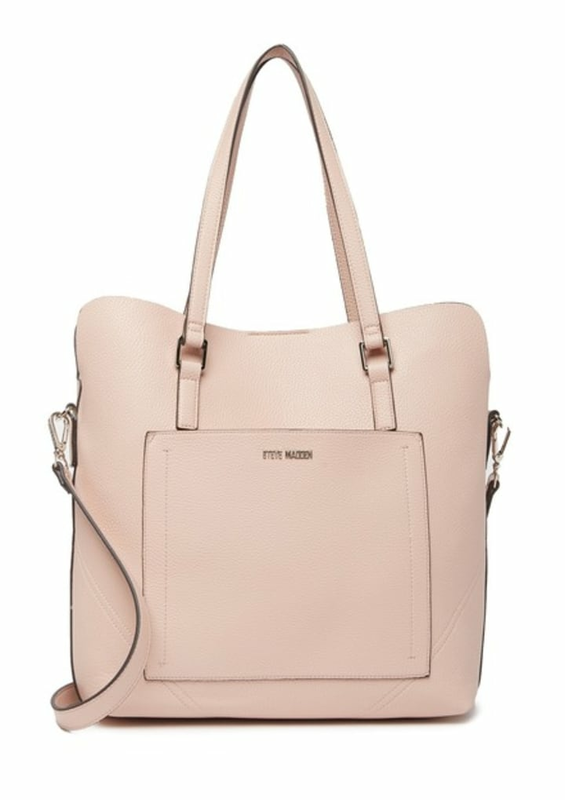 This Steve Madden tote comes with an attached pouch for small essentials. Another fun update for spring? White leather! 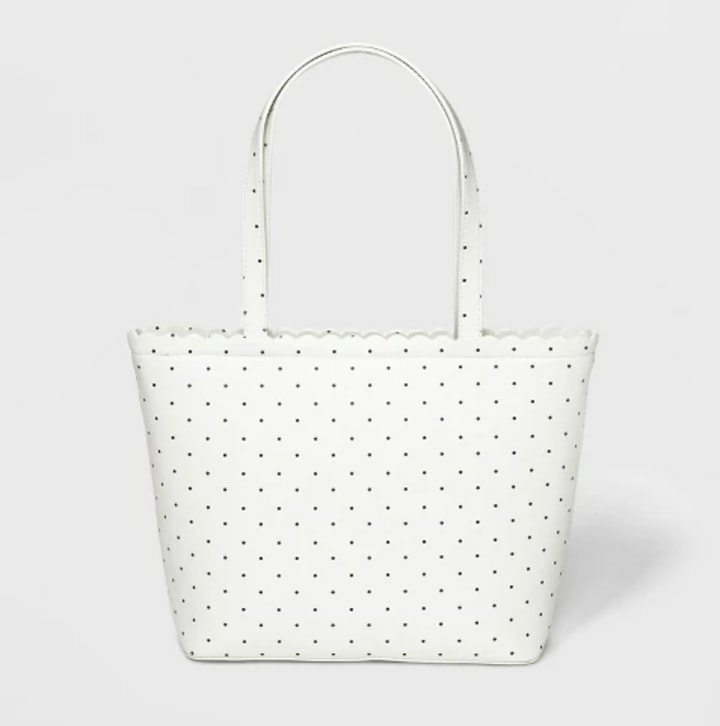 We love the fun polka dots and scalloped edges on this bag from Target. For off-duty days, a tote bag can be the perfect solution. 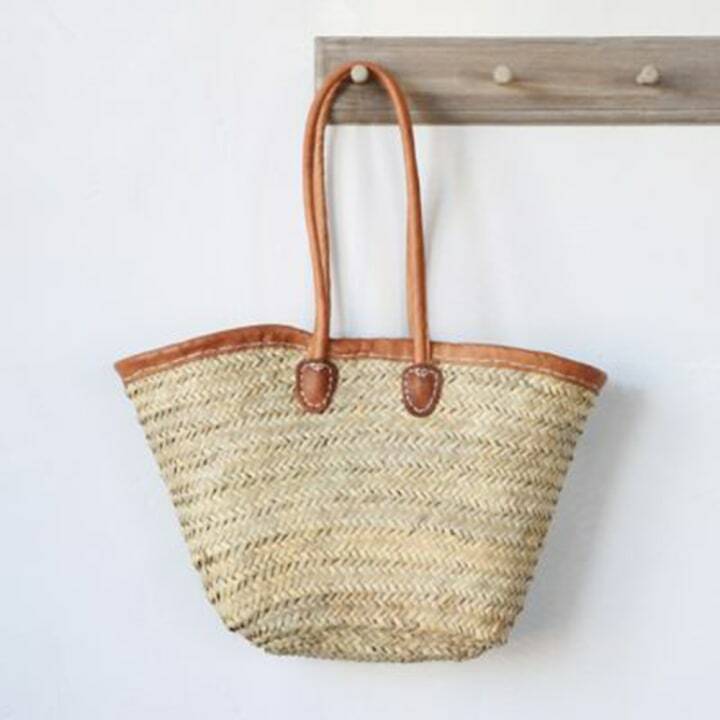 Whether you're packing up supplies for the whole family or throwing a few outfits in a bag for a weekend getaway, an oversized tote comes in handy. 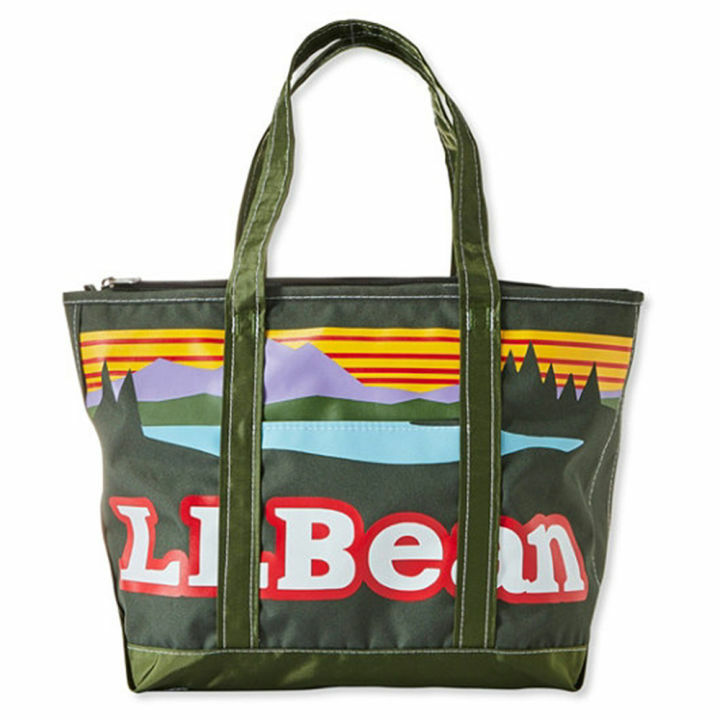 This fun, branded tote from L.L. Bean provides enough room to be an overnight bag. Durable straps let you throw this one in the trunk of the car for your next spontaneous trip! 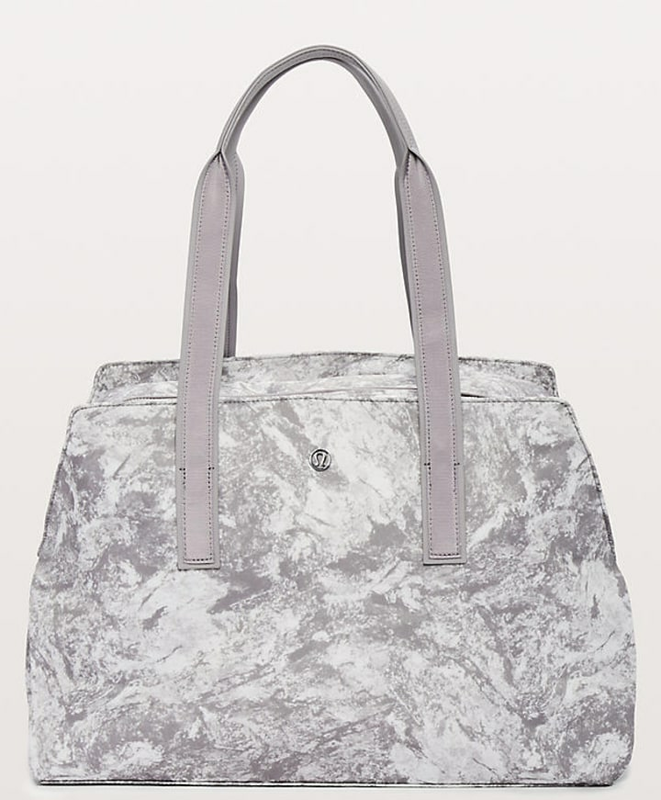 This Cathy's Concepts tote is even bigger than it looks, giving you space to pack everything needed for a long weekend. 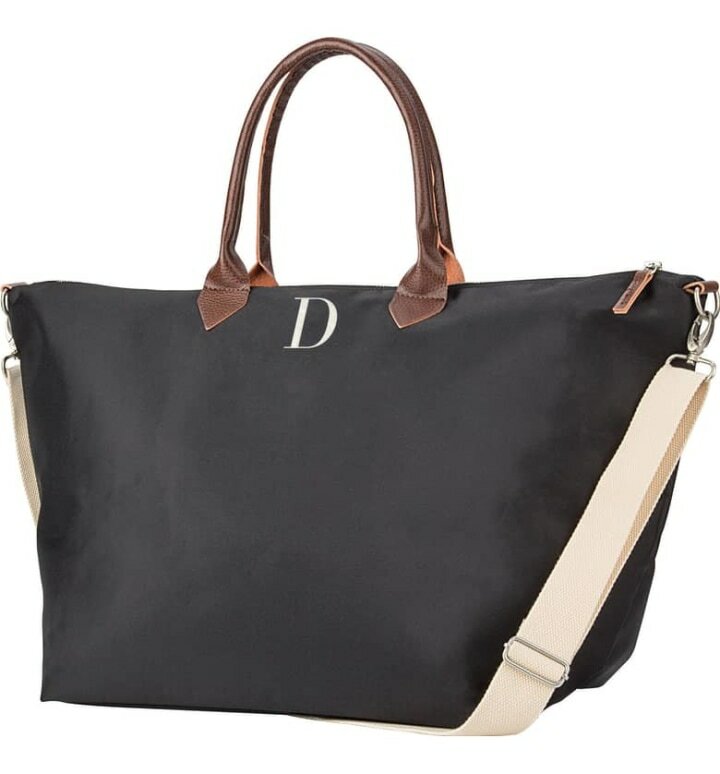 Add a monogram for no extra charge and never confuse your bag with someone else's again. For weekend errands in the spring, channel your inner Parisian with this traditional market tote. Durable leather-wrapped straps and a straw body make it perfect for gathering up goodies from the farmers market. A true classic, this bag packs down tiny and features a zippered top for easy access to all your things. Plus, the nylon exterior rarely wears down. Yes, even your gym bag could add style to any outfit. We found three practical and good-looking bags that are perfect for toting your athletic gear. 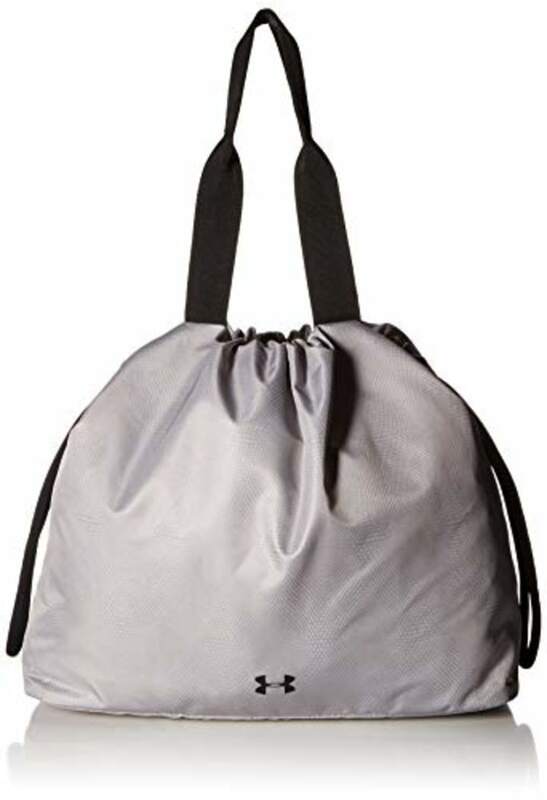 With a wide base and a drawstring top, this pretty silver tote from Under Armour comes in five colors and is roomy and durable enough to haul your sweaty workout gear. 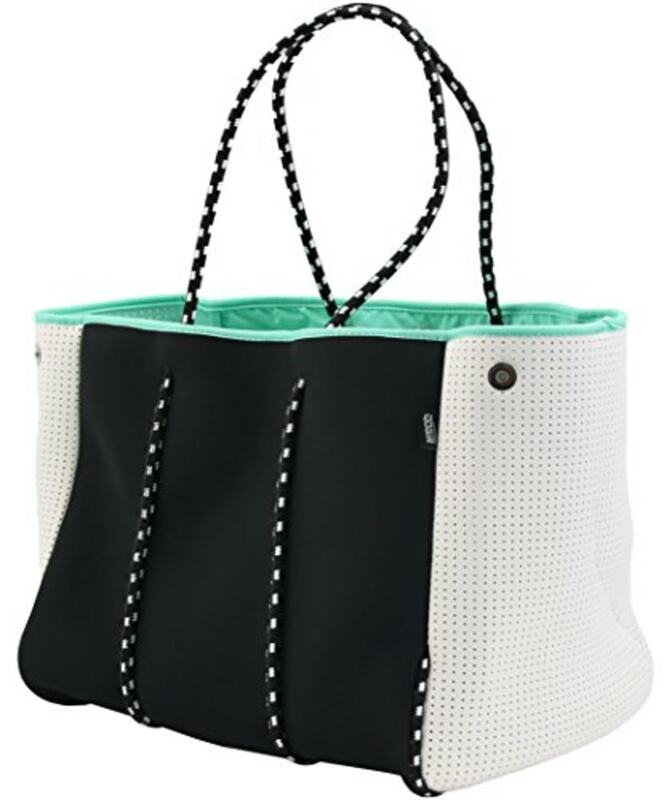 The best part of this tote from Athleta? The bottom unzips to reveal a compartment just for your shoes! This bag has a yoga mat strap and separate pockets for your laptop, water bottle, dirty workout clothes and more, so it's as functional as it is good-looking. It's never too early to start planning (or dreaming about) your upcoming beach getaway ... and searching for the bag you'll want to carry! 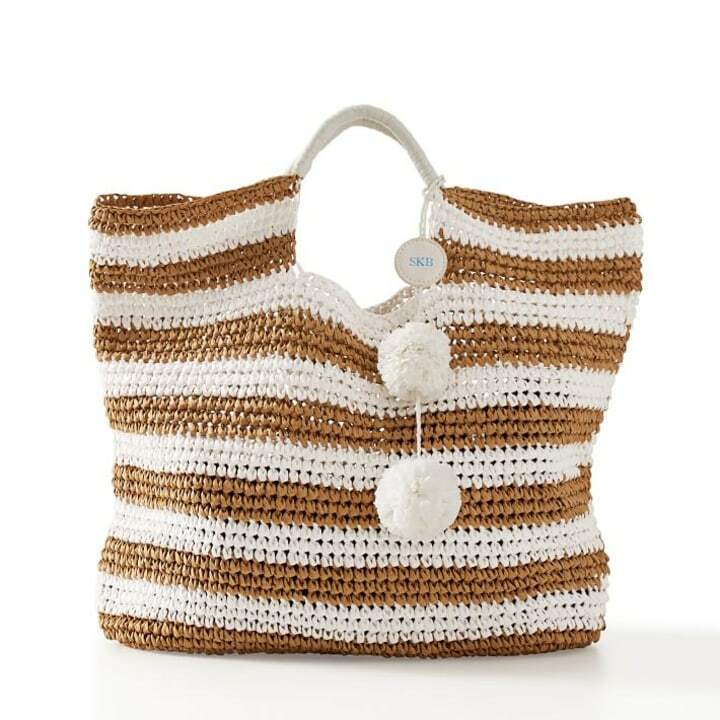 The pompom detail and straw material on this Mark & Graham bag make it stand out. Neoprene is made for the beach! It repels sand and dries quickly. This bag comes with a removable baseboard, so you can make it as sturdy or as packable as the day requires. 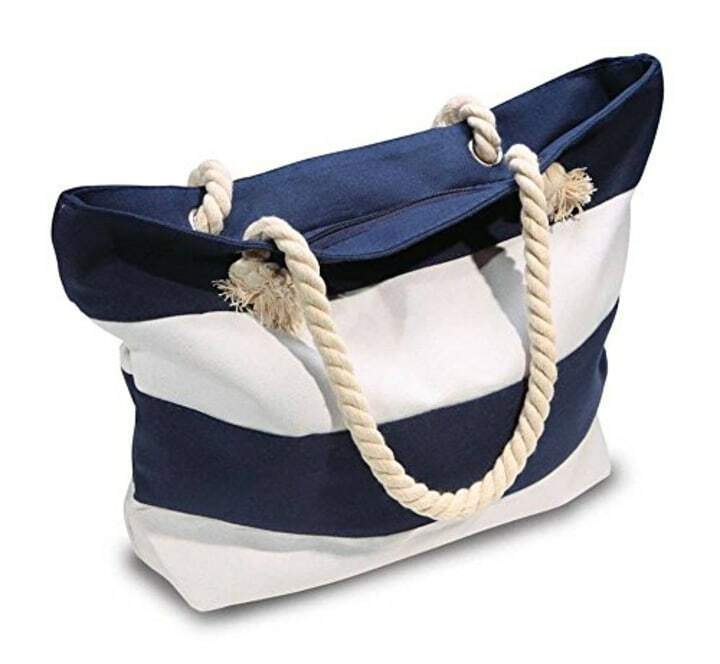 The fun stripes and zippered compartments make this bag an ideal addition for a tropical getaway ... or the perfect bag to make any day feel like a vacation. 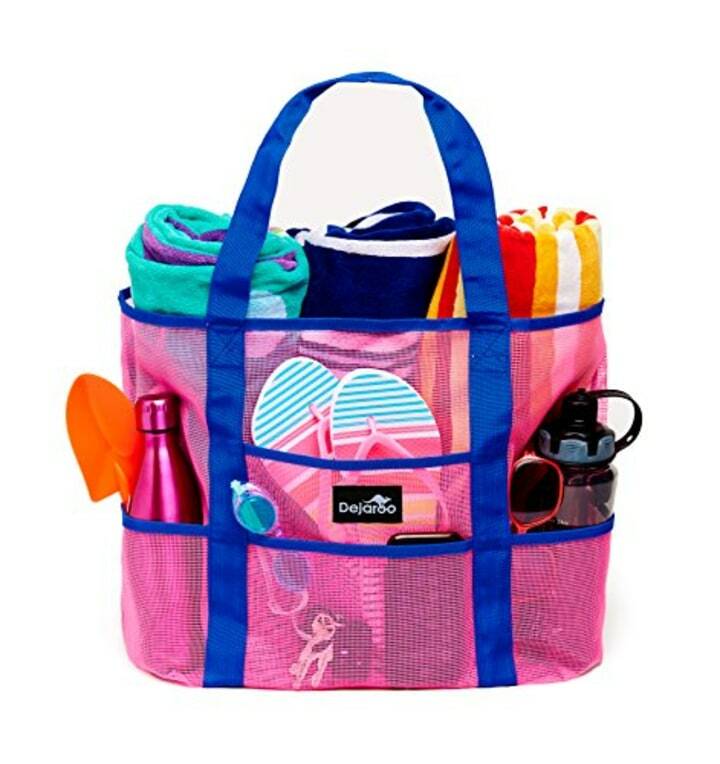 This Amazon Choice waterproof beach bag has enough pockets for everything you could need and is available in 12 different colors. Plus, the mesh will make it easy to clean after a sandy day at the ocean.